At the University of Central Florida RESTORES Clinic that treats post-traumatic stress disorder, veterans and active military members are put face-to-face with what has caused them anguish. Through virtual reality, patients see bombs detonate and the smell of smoke or gunfire fills their nostrils. It’s like being on the front lines in Iraq or Afghanistan, but instead patients are on UCF’s campus. “How do you get over a fear of dogs? You have to be around a dog,” said Deborah Beidel, founder and director of UCF RESTORES. That’s the mentality applied in the intensive outpatient format she and her staff use at the clinic. Patients are exposed to this realistic, individualized virtual-reality therapy five days a week for three consecutive weeks – a format avoided in the past for its intensity and a stark contrast from what’s the norm in PTSD therapy. Combined with daily group-therapy sessions on anger management, depression, socialization and more, the results from the clinic under Beidel’s leadership show this format of therapy is highly effective. Published recently in the Journal of Anxiety Disorders, a paper authored by Beidel examined data of the first 100 patients of the UCF RESTORES clinic. It found 66 percent of the patients no longer had PTSD after the three-week treatment, and six months later, only one patient had relapsed into a state of PTSD. Plus, only 2 percent of patients dropped out of therapy. These results are promising and may indicate a revamp is needed when it comes to therapy for military-related PTSD. More common alternative-therapy forms for military members and veterans used through the U.S. Department of Veterans Affairs typically are delivered over months, often creating barriers in scheduling appointments. Plus, issues such as anger and guilt are not addressed, perhaps explaining why after treatment from the VA, more than 50 percent of patients still have a PTSD diagnosis and an average of 28 percent of patients drop out of therapy, according to literature cited in Beidel’s paper. “We want to give people their lives back. The memory won’t go away, but it shouldn’t dictate every aspect of their life,” said Beidel, who indicated ordinary things such as barbecues and fireworks often are triggers of PTSD because the smoky smell and sound are reminiscent of bombs. The success of UCF RESTORES recently led the clinic to being allocated $5.5 million in state and federal funds. That money will not only allow the clinic to continue treating patients, but also to expand its services. “Now we want a clinic that’ll allow us to treat anyone who suffers from trauma,” Beidel said. Next, the clinic will look to university and community partners who can help create a virtual-reality therapy program for first responders. Scenarios such as the sight, smell and sound of a burning car, for instance, could be created in a virtual-reality format to aid firefighters. Police, sheriff and fire departments have volunteered to help UCF RESTORES develop realistic scenarios to aid their workforce. “I feel like I have to do my part to get the message out there so people know what resources are available,” said Brian Gent, district chief with Palm Bay Fire Rescue who raised more than $3,000 for RESTORES and has volunteered to help design the virtual-reality scenarios. More firefighters and police die by suicide than by a fire or by the hands of a felon, Beidel said. That’s prompted a tremendous response from the first-responder community to get RESTORES’ treatments out further. At least two more full-time clinicians will be hired, and a satellite clinic also may be established elsewhere in Florida to expand this therapy format and treat more people. “We can’t treat everyone with PTSD at UCF. Part of our efforts is to educate more people on how to do this so it can expand,” Beidel said. 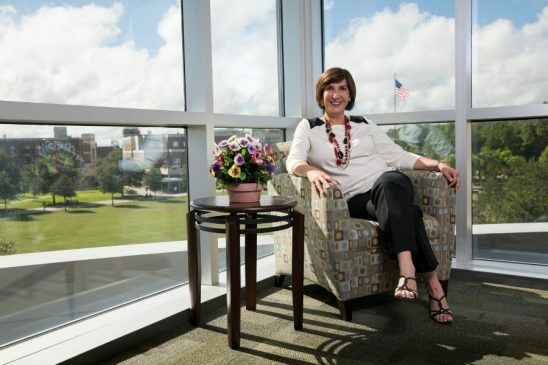 UCF RESTORES has been offering its services for free, and in the future will look to different funding sources such as an endowment through the UCF Foundation and billing insurance so the clinic doesn’t have to rely on government funds or research grants. Beidel expects to be able to treat another 600 people in the next year with these additions, through one-on-one and group therapy sessions. “Without other people believing in us and what we can do, none of this [the success of RESTORES] would’ve happened,” she said. Great! I expect that more interesting studies will be lunched in the future.